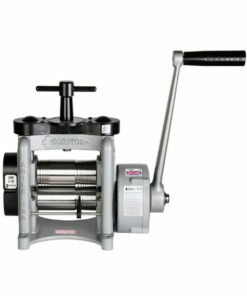 Agile Rolling Mill – Agile C110 rolling mill from Durston Tools. The all-new Agile C110 is a special edition to the range of Durston rolling mills, coming from the same stable as the DRM C100 RE. It is lighter than the DRM range by having finer frames,but? 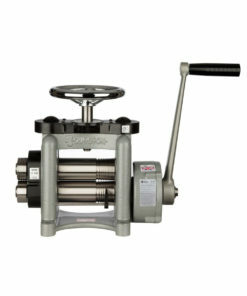 it is designed to support the load without any compromise on quality. 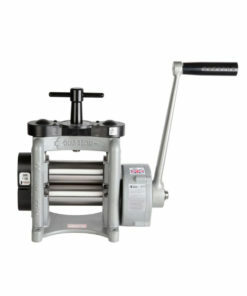 When you take delivery of your new Durston Agile C110 Rolling Mill, you are getting a top quality manufacturing tool. The all-new Agile C110 is a special edition to the range of Durston rolling mills, coming from the same stable as the DRM C100 RE. It is lighter than the DRM range by having finer frames, but it is designed to support the load without any compromise on quality. A traditional T-bar replaces the hand wheel, and you will find four half rounds as part of the primary roller. 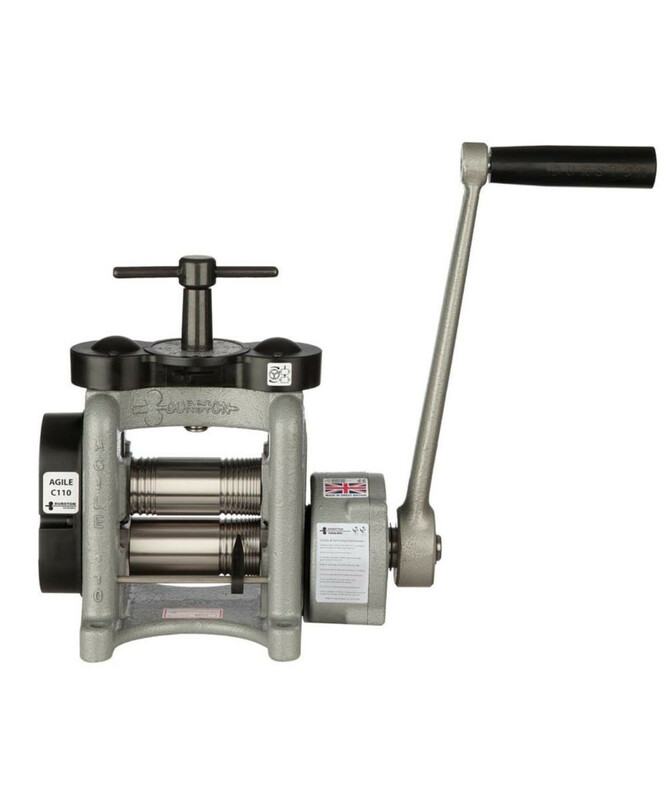 The rolls are specially induction hardened to 64 RC and the main barrel to a depth of 6mm ensuring your rolls last a lifetime. The Agile C110’s bearing block is fully supported, and the bearings are self-lubricating and completely maintenance-free. The beautifully formed square grooves have been specially designed to produce the best possible rolled finish. Also, the flat part of the roll has not only been finely ground but polished as well to ensure perfectly rolled products. The heavy duty 4-1 gearbox is unrivalled in the industry and makes turning effortless. 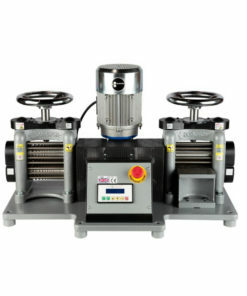 Behind the cover, you will find two additional gears to make rolling even smoother. Safety features include a protective guard around the top gears. 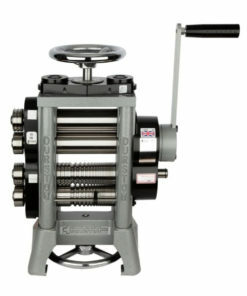 The Agile C110 Rolling Mill: part of Durston’s award-winning range of products available since 1961.